WHAT I SMELL: Chypre Mousse opens with a moistened mushroomed note mixed with dirt and earth. There’s an undercurrent of mint, but overall the earthiness reigns as it smells like you just unearthed the fresh moss from the forest. After around five minutes the greener aspects of Chypre Mousse move aside for a dryer sage and oak moss, yet there still remains an undercurrent of mint and it’s moving more towards spearmint. The fragrance starts to dull (when I mean dull, I don’t mean that it’s boring, I mean that it begins to flatten) and moves toward a layer of minty earth that is being dried by peaks of the sun. After around 20 minute or so, a slight tobacco note comes into play adding to the drying effect. Moving along, the tobacco note seems to become a bit sweeter and a bit more balmy and at this point the fragrance begins to hug your skin. In the end Chypre Mousse becomes a faintly mintish and rather herbaceous earthy fragrance that has some surprising longevity and projection. 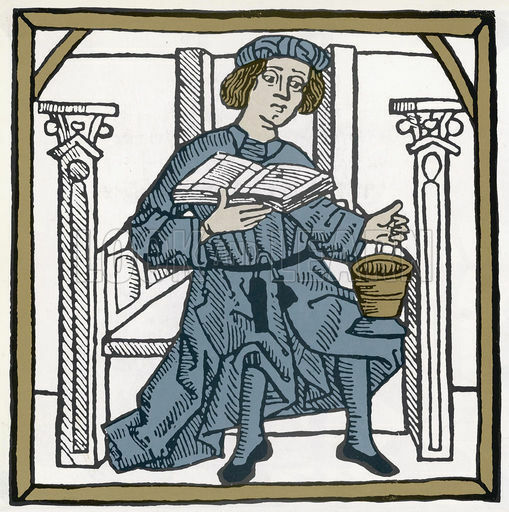 WHAT IT SMELLS LIKE TO ME: What I envision a medieval perfume would smell like from the local apothecary; herbaceous and earthy. BOTTOM LINE: I could not wait to get my hands on this when the wonderful Kafkaseque sent me a sample. I am a sucker for a chypre and I knew that I would love this too. How surprised I was when I found this to be interesting, but not something that I would ever wear. In fact, after putting some on and starting my review, I went to the gym and found that the fragrance mixed my body heat magnified the medicinal qualities of the fragrance almost making me nauseous. I was trying to figure out what was in the composition that was bothering me the most and I found that here is a tinge of a “Ben Gay” in Chypre Mousse that really is off-putting. I will say thought that I LOVE that bottle! Categories: Oriza L. Legrand | Tags: 2 bones, chypre, Chypre Mousse, fragrance, Oriza L. Legrand, parfum, Perfume, review | Permalink. I am sorry that Chypre Mousse didn’t work out for you, but, as I always say, skin chemistry does funny things and we all have different tastes anyway. I’m just glad you got to try it and to explore something different. And lord knows, Chypre Mousse is different. LOL. Thank you for being you, my dear. You have reminded me that I meant to send of for the sample set after Kafka featured this line so eloquently on her pages. No prevarication this time, an order will be made today! A generous friend just sent me the samples, and I really enjoyed them. Thanks for your take. Thanks Carlos. Is there one that sticks out as your favorite in the line? I’m quite intrigued to try this perfume as I love to garden, have a medieval herb garden and am minoring in Medieval Studies. I will send for a sample and give it a go! It might be perfect for diggin’ in da dirt 🙂 Thanks for the enlightening review. Wow, Sally, you must try this then! This sounds PERFECT for you. Let me know your thoughts when you do try it. I kinda like the smell of Ben-Gay but I’ll just stick with the real thing. Your review made me think of how I must smell in the spring when I’m out working in the yard and digging in the dirt and wearing Ben-Gay because my muscles hurt. Poodle, you paint such a pretty picture of you working in the garden 🙂 At least tell me that you have a wonderful garden hat on your head at the same time. Houndy, I totally rock the garden hat! The rest of the outfit is not quite so flattering. Hubband has been horrified by some of my yard clothes. He’s probably horrified by the hat too actually. I wasn’t sure about this for me on the first few wears (“masculine”)…and then I came to appreciate it. I’m thinking of hosting a split on NST during the split meet on February 8. 100 mLs is a lot if one spritz lasts the entire day and then some as I seem to smell it every so often even though I haven’t worn it since end of last year! The love/dislike for this fragrance seems to be pretty evident. I don’t think there is much in-between. It’s either something that you’re about, or not. I’m so glad that it works for you! 100ml in any perfume is too much as far as I’m concerned. YOur descritpion reminds me of Estee Lauder Azuree. It made me nauseous and I had to scrub it off. It was hard to do it as it was persistant even after taking a good shower after scrubbing. It wasn’t quite that bad, but I was pushing it on the treadmill and it just kept wafting up to meet me which was rather frustrating. 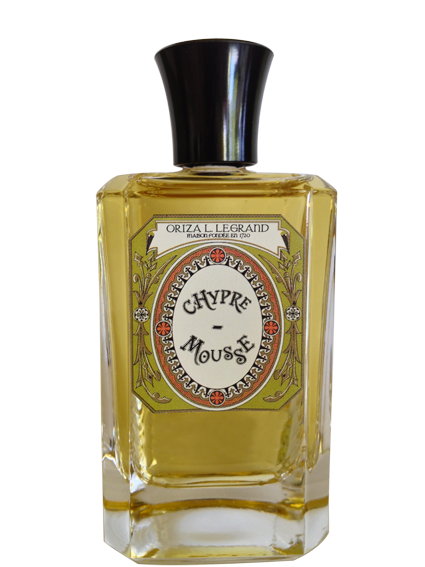 From what source are the samples of Chypre Mousse available?